A Brand that bring you the most beautiful, functional, quality-made products that fit the needs of all who wish to preserve their memories and memorabilia. A Brand that brings you the most beautiful, functional and quality made products that fit the needs of all who wish to preserve their memories and memorabilia. Hard wearing and durable tools that will last a lifetime, making every crafter's life easier both to create and produce wonderful works of art that will be treasured and amaze. 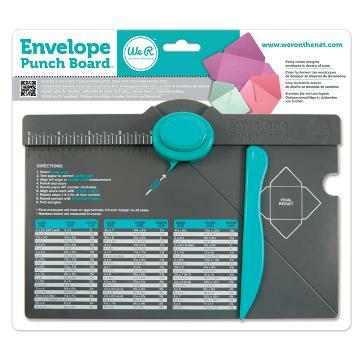 The Envelope Punch Board - Create your own custom made envelopes easily with this great tool.